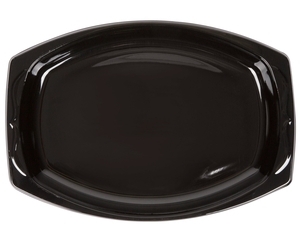 Versatile in design, this Genpak BLK11 Silhouette 7 x 10 1/2" black premium plastic platter is perfect for convenient serving. 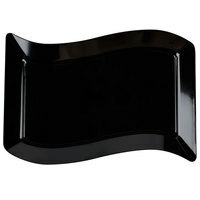 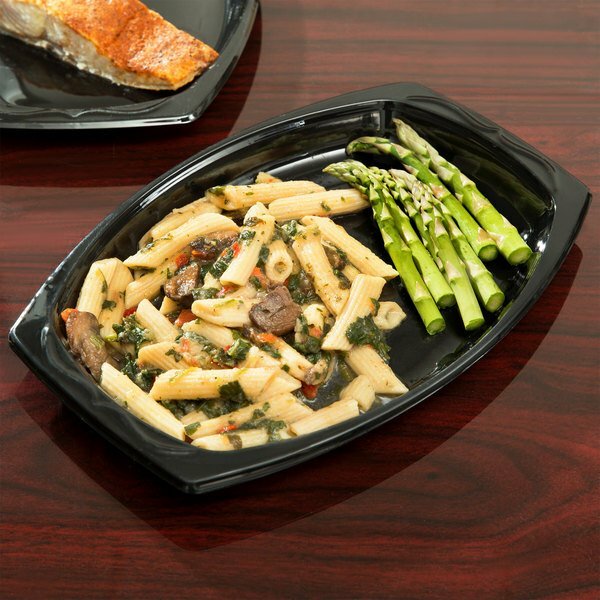 For use with private catered events, banquet halls, and even busy cafeterias, this Genpak BLK11 Silhouette plastic platter combines impressive durability and style to create the unique serving option that you've been looking for. 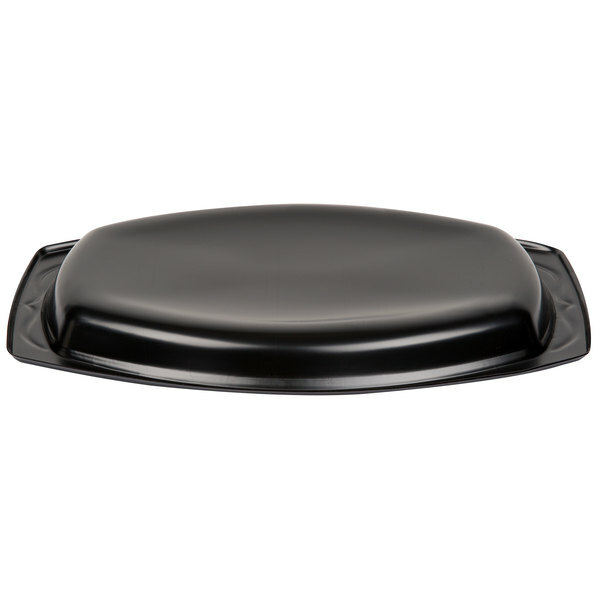 The 7" x 10 1/2" size is ideal for plating up entrees, lunch combos, and take-out meals, and thanks to its disposable design, cleanup is both quick and easy! 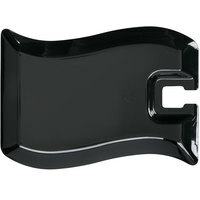 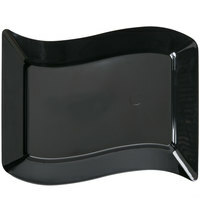 In addition to its high-impact plastic design which ensures reliable service, the plate boasts a deep profile with impressive strength to support the heaviest menu items without breaking or bending. 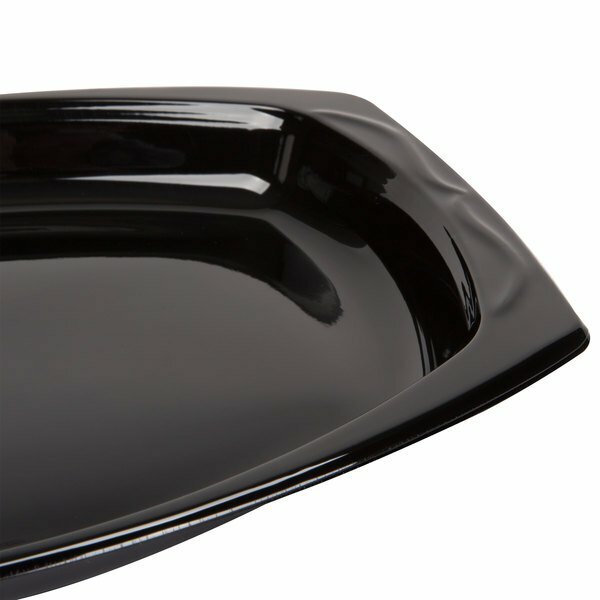 It's also cut-resistant, allowing the item to maintain its pristine appearance and prevent your guests' cutlery from slicing through the plate's bottom. 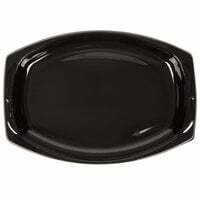 A sleek black appearance helps showcase your colorful cuisine, while a glossy finish adds to the plate's contemporary, upscale look. With a one-of-a-kind design along the patterned rim, the plate's elegant style complements your food for a memorable presentation.